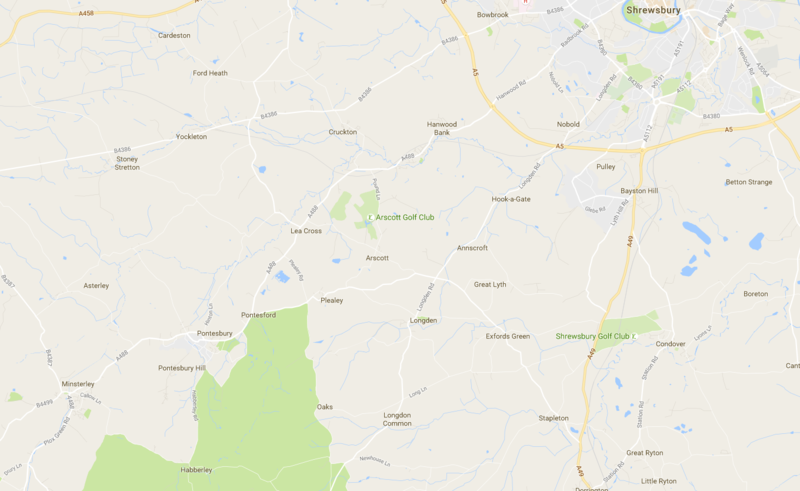 We are situated 12 miles south west of Shrewsbury. 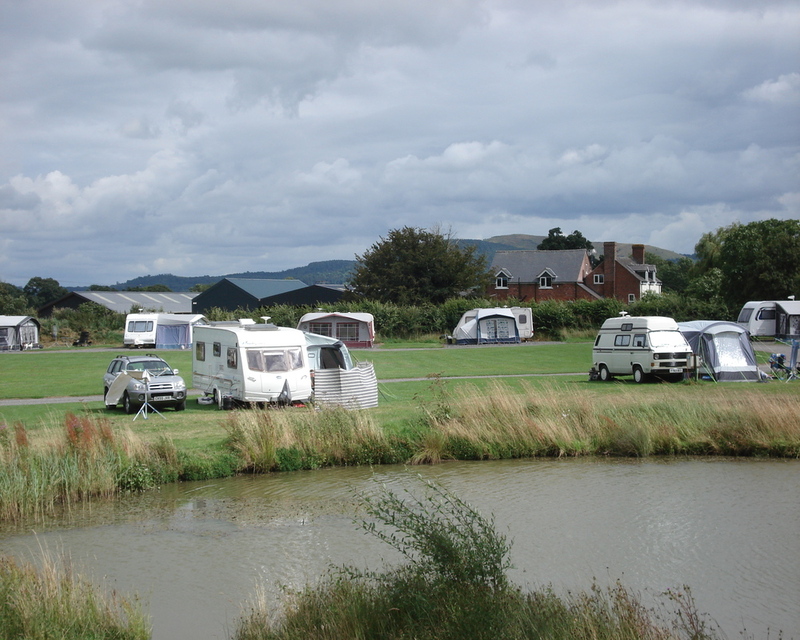 All our pitches are within 50 metres of the fishing pool (some a lot closer). A very relaxing place to sit whether fishing or enjoying the peace and quiet. We have a variety of pitches: grass, hardstanding and super pitches. All pitches have electric hookup, they are spacious, accommodating van, vehicle and awning. Up to 4 metres grass between pitches. Dog friendly with circular dog walk (dogs must be kept under control). Caravans and motor homes (no tents). Shops, restaurants, public transport and bike hire all within a 5 miles radius. 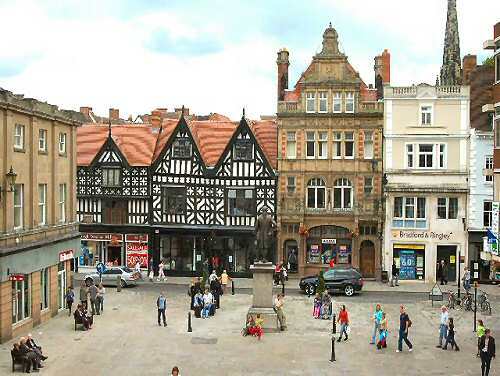 Shrewsbury is our nearest town, home of the famous annual flower show. Being surrounded on three sides by the River Severn, it gives excellent opportunities to enjoy a river trip or walks along the banks. There are many old buildings, including The Castle and of course shops and restaurants. Ludlow and Church Stretton to the south provide excellent places to visit, whether for fine food or walking. The hills around Church Stretton are known as 'Little Switzerland'. Welshpool and Montgomery are just over the border into Wales and along with Shropshire have many National Trust properties that are well worth a visit. From A5 Shrewsbury by-pass turn left onto B4386 (to Montgomery). Travel through Westbury and turn left after 1.25 miles into road sp Minsterley (sharp turn by cottages). In 1 mile turn right into Hem Lane. Enter drive on right in 200yds. Follow track to left of house, site on right.
" What a super site....The owners are lovely and helpful but at the same time not imposing, but there if you need them. Would definitely go back as it was great value for money and the walks in the area were excellent. There was also lots of wildlife on the site, which was fun to watch." "A lovely quiet camp site, with generous sized pitches, a charming fishing lake that is carefully looked after, There is a CL adjacent owned by the same family.Fresh water points and hookups also generously provided all around. There is a large grass area around which the pitches are spaced, dogs are welcome, there's a lovely walk round other fields which is mowed regularly!" " We have just spent 5 glorious days at this site. Andrew the owner is very helpful he keeps the site lovely and clean. he came to us to see if we were happy and if we needed anything.it is so peaceful. we could see the Shropshire Hills where we were hooked up. the lake is surrounded by tall grass which attracts the butterflies and different birds." " If you want peace and tranquillity this is the site for you. Large pitches, our super pitch overlooked the fishing area. Well worth the money. Easy to reach Shrewsbury and Montgomery. Very nice owner adds to the whole atmosphere for a relaxing and noise free experience. A great adult only site not to be missed. "